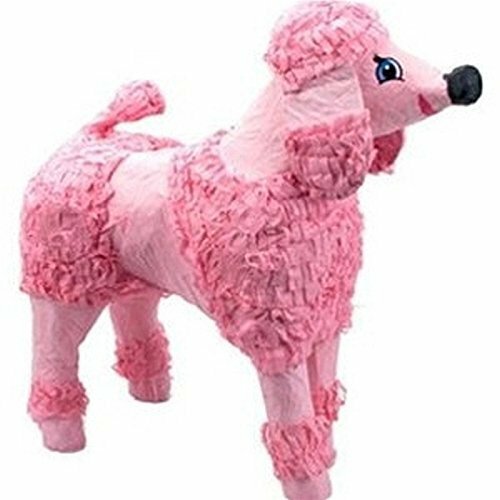 Our 3D pink poodle pinata is perfect for a dog lover’s birthday party. Can be used either as a decoration or to play the fun pinata party game. Pinata measures 20 inch high, 5 inch wide and 18 inch long, holding up to 2lbs of toys and candy (sold separately) suggested for 8 guests. Our pink poodle pinata is made or cardboard and decorated with pink tissue paper.